The 2009 AFCON Annual Meeting was held on November 14th and featured guest speaker Dr. William Ayers, distinguished professor of education at the University of Illinois - Chicago. 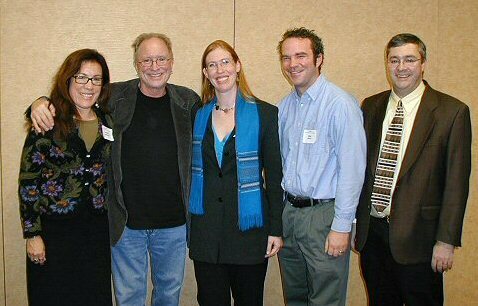 Dr. Ayers was was invited in early 2008 by students and faculty at the University of Nebraska - Lincoln to speak on his research at a conference but under threats that were physical, financial, and political, that invitation was revoked by the UNL administration. AFCON considered this dis-invitation to have been the most significant event for academic freedom in this state in several years. The academic freedom of those students and faculty was violated. 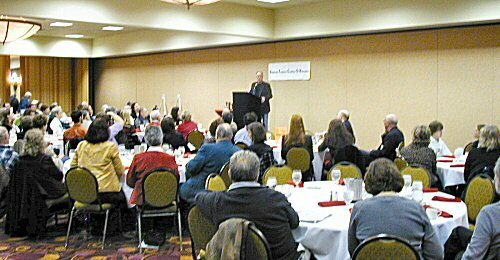 In response, AFCON invited the man at the center of the controversy, Dr. Ayers, to offer his thoughts on academic freedom at the 2009 Annual Meeting. David Moshman was the recipient of one of the 2009 Academic Freedom Awards for his outstanding contributions to academic freedom. As one of the founders of AFCON, he twice served as president and wrote many of its founding documents and principles. Mr. Moshman worked on behalf of the academic freedom of teachers and university faculty in the state, has won the UNL Academic Freedom Award, and testified in an important court case on academic freedom. 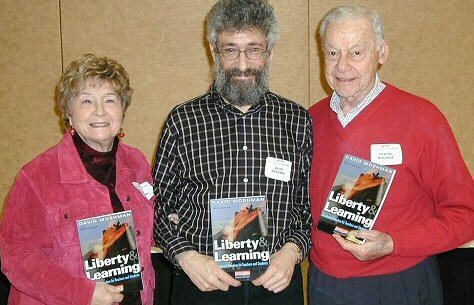 He also recently authored a book designed to educate teachers about the issues of academic freedom that arise in education, entitled Liberty and Learning. In 2007 a teenager named Julius Robinson refused to join a gang and was shot and killed by gang members. His best friend, Dan Kuhr, wanted to honor Julius' memory and help raise money for his burial by creating t-shirts that read "Julius R-I-P." The shirts included a picture of Julius in his football uniform and the words "Only God Can Judge Me Now." But Millard South High School told Dan and his brother Nick, sister Cassie, and friends that they couldn't wear the shirts or (in Cassie's case) even write "R-I-P Julius" on their hands. Even red wrist bands with only Julius' name were to be removed. Millard South ultimately suspended 23 students. The school later explained that the shirts violated dress code and could be disruptive and that safety outweighed the First Amendment rights of the students. Parents complained, but the school wouldn't budge. The suspensions would not be dismissed. Then with the support of Dan's mom, Jeanne, the family bravely took on the school. They filed a lawsuit in October with the help of the Nebraska Chapter of the American Civil Liberties Union. The lawsuit is filed in the U.S. District Court in Omaha and names the Millard Public Schools and Superintendent Keith Lutz as defendants. As in the case of Tinker v. Des Moines, the Kuhrs argue that the school is violating their First Amendment rights, which should not be left at the schoolhouse gate. While the district has the right to censor messages that are disruptive to learning, the lawsuit contends that the t-shirts are not disruptive. The shirts are a way for students to express their grief. The lawsuit asks that the school allow the students to wear the attire. And because the students were fundraising for Robinson's headstone, it suggests that the district pay for that too. Dan has since graduated from Millard South, but he, his mother, and his younger brother and sister continue the fight. Because of their outstanding defense of academic freedom, the 2009 Academic Freedom Award was awarded to Jeanne, Dan, Cassie and Nick Kuhr. When the invitation to William Ayers to address the student research conference of the College of Education and Human Sciences was withdrawn, there was no formal and focused opposition or even response from any organized group on campus. Into this gap came an informal group of faculty and graduate students who felt that this threat to academic freedom should not pass without a critical consideration of its implications. The group's leadership was in the Department of English, with assistance and cooperation from faculty and elsewhere on campus. The leaders who were the recipients of another AFCON Academic Freedom Award were Associate Professor Stephen Ramsay, specializing in digital humanities scholarship and the history of drama; Associate Professor Amelia M.L. Montes, a writer, a scholar of Latina literature, and director of the Institute for Ethnic Studies ; Assistant Professor Julia Schleck, a scholar of Renaissance literature and early modern travel and colonial writing; and graduate student Michael Kelley, a teaching assistant working for a Ph.D. in composition and rhetoric. Steve wrote an essay on the “Paradoxes of Academic Freedom” which was circulated on campus. The group staffed tables in UNL's public areas to encourage attention to the issues. They sponsored a public meeting, to which they invited people knowledgeable about the history and background of the disinvitation and the previous threats to academic freedom, a meeting attended by a variety of interested parties. They and Professor Chris Gallagher, who has since left UNL, continued to exchange emails and perspectives for the rest of the year. (Professor Gallagher received an earlier AFCON award; he, along with our speaker Professor Ayers, are ineligible for the award, which is reserved for Nebraskans.) The group made manifest that all faculty, including the untenured, and to graduate students preparing to enter the profession, have a stake in the strengthening of the freedom to explore ideas and hear speakers in an institution which does not give in to political pressure or threats of violence. 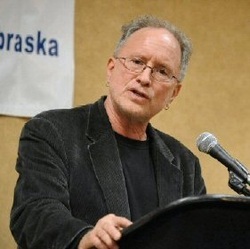 The Academic Freedom Coalition of Nebraska thanks you for your efforts to make known the threat to the academic freedom of last year's cancellation of Professor William Ayers' speaking to students and faculty at the University of Nebraska-Lincoln. Your writings, your organization of a public meeting, and your leadership in the informal group of faculty and students who continued to discuss the issues, raised appropriate questions about the administrative withdrawal on the grounds of safety of the invitation by a faculty group to a distinguished scholar to address students and faculty of the College of Education and Human Sciences For this defense of academic freedom as an essential foundation of a university's life, AFCON awards you its 2009 Academic Freedom award.